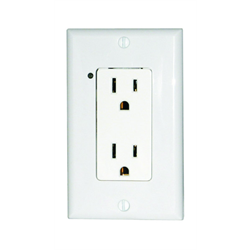 Simply Automated UPB receptacle replaces a standard Decora receptacle and provides reliable on/off control of the top outlet while the bottom outlet remains on at all times. Can be controlled by UPB transmitters, computer controllers/timers or by directly connected USR remote switch. 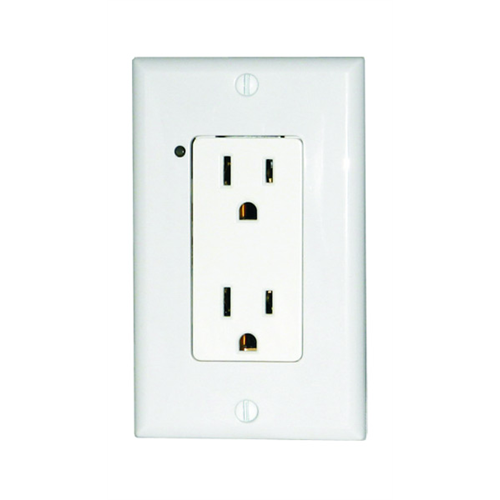 Auto-off timer can be set to turn receptacle off automatically after user-selectable time.